I aim to treat my clients like my closest friends. Sometimes this means a call to stand by their side in a fight and sometimes it means saying what no one else can say. Always, it means trying to ensure the best possible outcome. 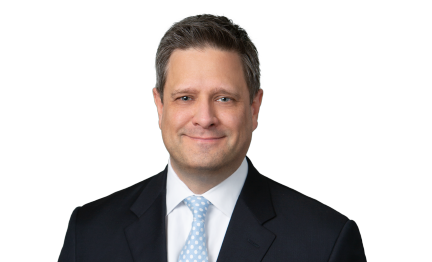 Michael Kelsheimer focuses his practice on the employment law needs of Texas businesses and executives across several industries, including healthcare, oil and gas, construction and real estate. With more than 160 laws that impact the employment relationship, clients count on Michael to find effective solutions for every workplace problem they may encounter, both in and out of the courtroom. He has achieved favorable results in litigation before state and federal courts and in arbitration involving many issues, including non-compete and non-solicitation agreements, trade secret theft, all types of discrimination claims, executive employment agreements and FLSA wage and hour claims. Michael is always on call to guide employers through day-to-day and emergency decisions regarding the hiring, compensation, investigation, discipline and termination of employees. He also prepares strategic documents, including employment agreements, non-competition and non-solicitation agreements, separation agreements and comprehensive personnel policies. Outside the employment setting, Michael helps clients solve a variety of other challenging problems, including complex commercial disputes involving breach of contract, collections, fraud and DTPA claims. After many years of practice, Michael knows that employers can be overwhelmed by technical jargon and long-winded explanations, and they often receive information or advice that’s flat out wrong. Amazed at how many books and online sources provide unreliable, impractical guidance on key employment issues, Michael created the Texas Employer Handbook, an online resource focused on giving business owners plain-English explanations of complex employment issues and helping them spot concerns before they become real problems. Before joining the firm, Michael worked as a briefing attorney for the Honorable Sam R. Cummings of the U.S. District Court for the Northern District of Texas, which gave him a unique opportunity to see how a variety of employment and business disputes are evaluated from behind the bench. Fascinated by the factual scenarios and complicated issues he worked on every day, Michael decided to focus on solving employment problems for business owners and executives in his private practice. Non-Competition Agreements: Michael has successfully represented employers and employees in post-employment disputes regarding non-competition issues. Michael has both obtained and precluded injunctions for clients in this area and has significant experience representing physician groups and physician-owned hospitals in this area. Discrimination Claims: Michael has successfully defended dozens of discrimination allegations against employers both before governmental agencies and in court cases. Employment Audits: Michael has represented and defended numerous employers and physician groups in overtime and misclassification audits before the Internal Revenue Service, Department of Labor, and Texas Workforce Commission. Proactive Planning: Michael is a big proponent of proactive planning to avoid issues with audits and claims later. He has conducted innumerable preventative employment practice audits for employers and healthcare providers. Employment Agreements: Michael regularly prepares and reviews employment agreements for executives and employers in the medical field and all other areas of business. Michael has recovered monies for clients in contract disputes, real estate, construction, collection, deceptive trade practices, and other areas. Michael has successfully defended multi-million dollar clients in breach of contract, deceptive trade, foreclosure, and personal injury litigation. Successfully defended appeals to the Texas Supreme Court on matters of real estate and arbitration. E-Verify is Down ... What do I do? Track Day – Straight roads are for fast cars. Corners are for fast drivers! Sporting Clays – Pull! Aim . . . Shoot . . . Smash! Dog Walker – I aspire to be the person my dogs think I am.